Although he calls it an “odd quirk” in his writing process, listening to certain kinds of music has been quite helpful for Eric Samuelsen in shaping the rhythmic and thematic flows of his plays. For example, in a play-in-progress about 11th century papal politics, he finds listening to rock ‘n’ roll from the late 1950s and early Beatles to be useful. While the extent of music’s use is minimalistic to match the overall tone and feel of the staging, Cheryl Cluff, who directs the latest production in a season dedicated to Samuelsen’s work, says the selections she makes are intended to underscore the quiet yet deeply incisive and critical themes which expose the utter incoherencies within a culture that frequently overemphasizes the value of keeping up perfect appearances. The play opens its run Thursday, March 27, in the Studio Theatre of the downtown Rose Wagner Center for Performing Arts and will conclude Sunday, April 6. While, the three plays works work beautifully on their own, there is no doubt all three must be taken in total to appreciate and to contemplate the larger themes, which do extend into shared experiences by Mormons and non-Mormons alike. Samuelsen lays out a large palette of emotions where even the most humorous bits can be subtly and quietly subverted by a darker moment revealing a flash of ugliness that represents extraordinarily realistic tensions. As much as one would like to hold onto the nostalgia for an order that once served well the benefits and functioning of a ward community, a realization emerges and grows through each of the short plays that women should not hesitate to take the power for improving their futures. 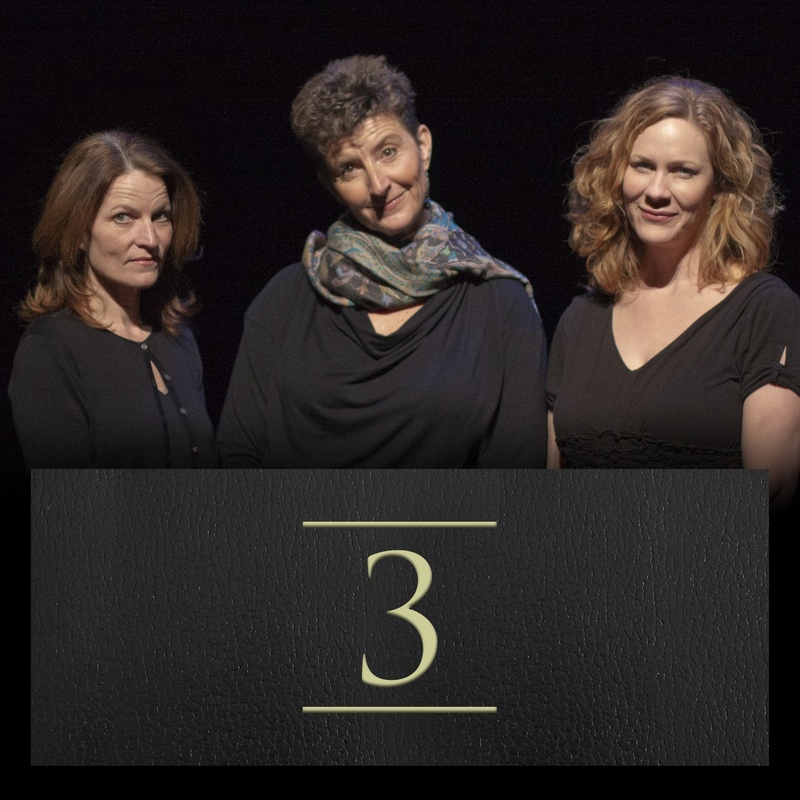 The first installment of ‘3’, ‘Bar and Kell’ started out as a short story before Samuelsen decided to turn it into a short play. He based it on his observations of and connections to similar instances in his West Provo, Utah neighborhood, including one involving his oldest daughter. “Naturally, it did not turn out well,” he adds. The play, as Samuelsen describes, points out the interesting contrasts of purpose: Is one being friendly for the sake of fulfilling an agenda or is it for the sake of pure friendship? Providing the most abundant comic relief in ‘3,’ ‘Community Standard,’ which focuses on a woman serving on a jury for an indecency trial, required the most revision and updating from its original form. Samuelsen takes note that video stores have gone out of existence and the Internet emerged to provide sounding boards to vent and to debate the moral, legal, and social implications surrounding obscenity, artistic expression, and censorship. However, amid the glib, funny commentary is the growing creepy specter of objectification and the gradually emerging acknowledgment of sentiments that take many forms, including the idea that men who are good missionaries will be rewarded with attractive wives. Perhaps with the Death Cab by Cutie song in the background, which is about a man stalking a woman he realistically cannot have, Samuelsen turns the conventional understanding of ‘community standard’ on its head to confront the typical promise of whether one truly can have it all in family, prosperity, and love and what is potentially lost if the current standard prevails. This theme gains currency as Samuelsen traverses the landscapes in each of the three stories. 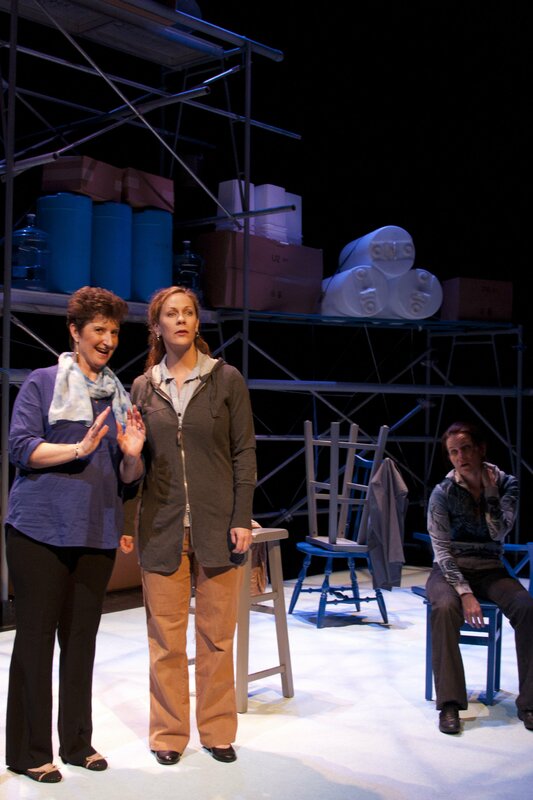 The final installment ‘Duets’ confronts the delusional challenge and sad predicament of those who believe sexual orientations can be changed. 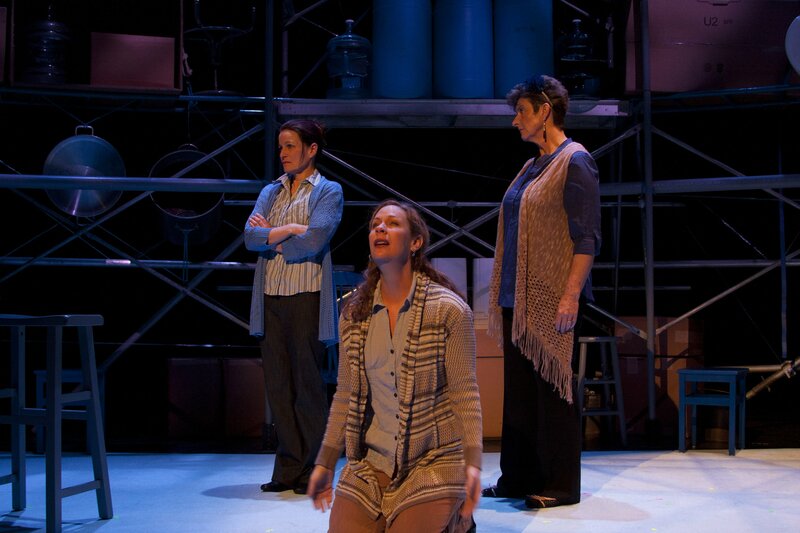 In ‘Duets,’ Samuelsen pulls the trio of plays toward its overarching emotional apex dealing with acceptance and reconciliation and how some cannot overcome the fatalistic misperceptions that have become entrenched even in the closest circles of community and familiarity. In this closing installment, Samuelsen orchestrates the rhythm with abrupt shifts from a whimsical, sometimes sweet feel to a heartbreaking moment that seems at first muted but hits nevertheless with devastating impact. In the most intimate frame of contemplation, the epiphanies are striking because of the quiet almost quotidian tone in which they’re embedded. The language resonates in authentic tones that also will translate and carry over to women in other religious faiths and practices. 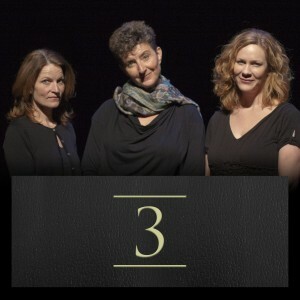 The format for ‘3’ is intriguing, as the same cast of three actors takes on responsibility for the three actors in each of the plays, as well as brief appearances of other characters. There are occasional bits of direct audience address and instances where two characters might be speaking as underscoring while the third speaks. 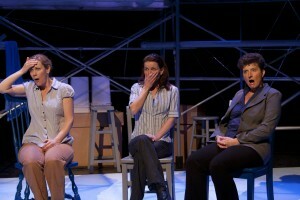 The three actors are Stephanie Howell, Teresa Sanderson and Christy Summerhays, all veterans of Plan-B’s productions. Cluff keeps the staging compact with a food storage locker in the background (empty packages and bottles) and minimal set. While most prop actions are mimed, Cluff decided to include one prop – the pop bottle for the first play in which an actor recalls how Brandie’s boyfriends uses it to spit chew. Performances of ‘3’ will take place on Thursdays, Fridays, and Saturdays at 8 p.m.; Saturdays at 4 p.m., and Sundays at 2 p.m. Tickets are $20 for general and $10 for public. They can be purchased by calling (801) 355-ARTS or by visiting www.planbtheatre.org.